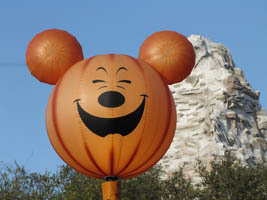 We had a great time attending Mickey’s Halloween Party in California! 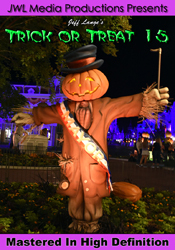 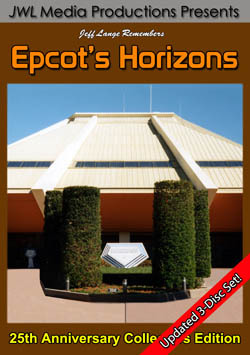 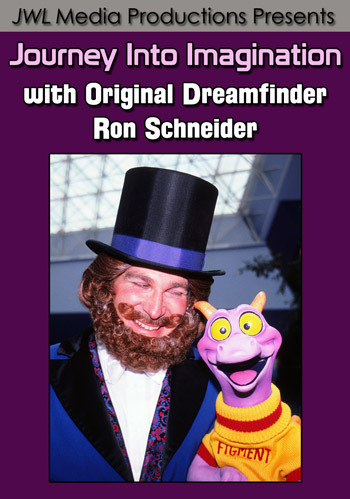 It is well worth the ticket cost – Halloween Screams is a great fireworks show, Mickey’s Costume Cavalcade is a unexpectedly fun parade, and the candy given out during trick-or-treating was mostly chocolate. 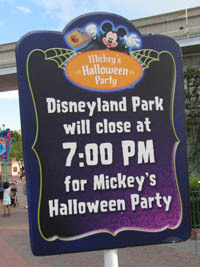 Disneyland let guests know that the park would be closing at 7pm for the Party (below, left). 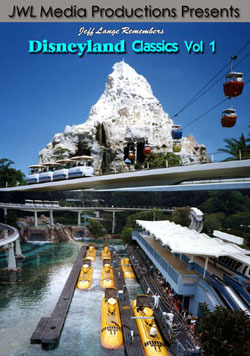 An inflatable Mickey pumpkin smiles as the Matterhorn is shown in the background (below, right).